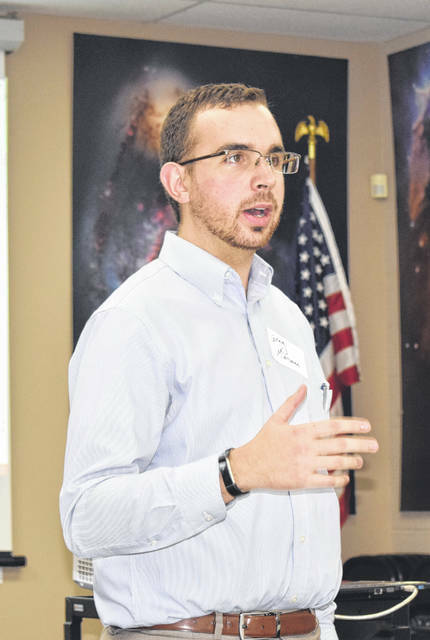 BUCYRUS – The Community Foundation for Crawford County, the Friends of the Crawford Park District and United Way of Cawford County recently collaborated on an evening to talk about planned giving. Gregory Marsano, a 2018 recipient of the Dr. Laurie Anne Rhodebeck Memorial Scholarship, opened the evening. Marsano, who recently graduated with a master’s degree in environmental law and policy from Vermont Law School, expressed his gratitude for receiving the scholarship this year and spoke about how even small gifts can make a huge impact. Dr. Laurie Anne Rhodebeck’s bequest to the Friends of the Park District was turned into a scholarship at the Foundation that will benefit students for years down the road. Organization introductions were made by Bill Fisher, trustee of the Friends of the Crawford Park District; Lisa Workman, president of the foundation, and Amber Wertman, executive director of United Way of North Central Ohio to a group of about 25 who gathered last Thursday evening at Lowe-Volk Park. Those in attendance also watched a video TedTalk presentation, “Leaving a Legacy Through Intent,” by Jim Calva. 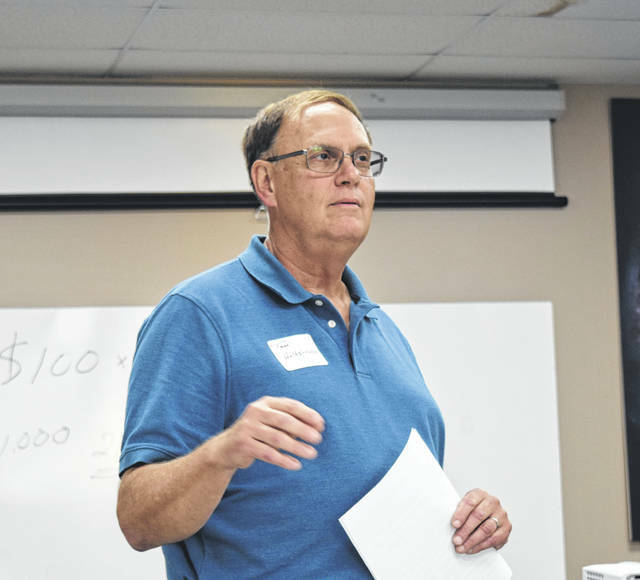 Tom Holtshouse, a community legacy member of the Community Foundation for Crawford County, spoke about how he and his wife, Pam, made the decision to invest in life insurance that would benefit the Foundation upon their deaths. At the end of the evening, participants were provided with legacy kits that included information on the most common types of planned gifts: bequests from wills, life insurance policies, and charitable gift annuities. In closing, Lisa Workman shared a quote from the Chronicle of Philanthropy.